INTERMOT, the highlight of the year for motorcycle and scooter fans from all over the world will meet at the international motorcycle, scooter and e-bike fair, on Oct. 3-7 in Cologne, Germany. Over 1,000 exhibiting companies and brands from around 40 countries, will present their latest models and product innovations to the international trade audience and the biker community. In addition to motorcycles and scooters, the product range on offer at INTERMOT also encompasses accessories, clothing, parts, customizing, travel and workshop equipment. INTERMOT will occupy Halls 6-10 of the Cologne fair grounds with a total gross exhibition space of around 100,000 square meters. 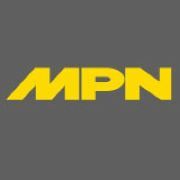 In attendance will be BMW Motorrad, Harley-Davidson, Honda, Ducati, Kawasaki, KTM, Kymco, the Piaggio Group with Aprilia, Moto Guzzi and Vespa brands, as well as Suzuki, Triumph and Yamaha. In addition to these, brands like Indian, which has once again expanded considerably, Benelli, Royal Enfield and Horex will also attend with their own presentations. In addition, new brands in the electric mobility segment will be present, including Energica and Zero with their e-motorcycles or Emco and Kumpan with their e-motor scooter ranges. In the clothing section, the return of the well-known Italian manufacturer Dainese, which is also bringing the renowned helmet brand AGV to Cologne. Almost 65 percent of the more than 1,000 exhibiting companies and brands come from abroad. The countries most strongly represented at INTERMOT are Italy, USA, the Netherlands, Great Britain, Pakistan, Spain, China and Taiwan. INTERMOT Customized in Hall 10.1 expanding this year and is also raising its international profile. Out of the major manufacturers, BMW Motorrad, Harley Davidson, Kawasaki, Yamaha and, for the first time, Suzuki and Indian, have all registered to also take part in the INTERMOT customized segment. Renowned distributors such as Custom Chrome Europe, Louis, Motorcycle Storehouse and the parts specialist Zodiac will be represented in Cologne as well. Internationally renowned customizers include Berham Customs, Harley Factory, JvB, Fred Kodlin, Mellows, No Limit Custom, Walzwerk, Wrenchmonkees and the Sultans of Sprint, an alliance between customizers and sprint racers. In the Garage Area of INTERMOT Customized, the pros will show off the work that goes into creating custom bikes. Tasks like changing the footrests, handlebars, headlights and indicators will be expertly explained and performed. The area even includes a mobile spray booth. At this year’s event, customizing enthusiasts and keen mechanics will be able to follow two projects from the design stage right through to the finished bike. A brand new Ducati Scrambler 1100 will be completely redesigned and customized over the course of the five days of the fair. Under the banner “Turning scrap metal into gold,” INTERMOT Customized is looking for a conceptual idea from the motorcycling community, wherein a given motorcycle (Honda CB 450S) is customized using parts from LSL and Highsider and with a maximum budget of Euro 750. The winning idea will be implemented by the winners, with the support of the experts in the Garage Area, and completed by the end of INTERMOT 2018. Also taking place this year as a highlight of INTERMOT Customized will be the AMD Championship of Custom Bike Building, an event held every two years. It is here that the “who’s who” of customizers will be putting themselves before an international jury with their spectacular conversions. The world title is traditionally awarded in the FreeStyle Class – all modifications are accepted here. Alongside this, customizing specialists will be showcasing their impressive creativity in the four other categories Retro/Modified, Modified Harley-Davidson, Performance and Café Racer. As a leading business and information platform, INTERMOT is continuously showcasing trends and topics that are moving the industry and the motorcycle community. One topic that is affecting all facets of life worldwide while bringing about profound changes is “digitalization.” INTERMOT, together with BOSCH, Cardo Systems, digades, Sena and the Connected Motorcycle Consortium, with its founding members BMW Motorrad, Honda and Yamaha – as well as Ducati, Kawasaki, KTM and Suzuki – will showcase the latest solutions and innovations in the areas of safety-related, digital components, enhanced communication comfort thanks to new digital technology and applications, while at the same time presenting both visionary and market-ready ideas. The “Connected Motorcycle World” themed area is located in the heart of INTERMOT in Hall 6, and is organized around five main themes: Connectivity Vehicle to Vehicle – Connected Horizon & Head Up Display – Group Riding Communication – App and Smartphone Integration – Emergency Calls. INTERMOT E-motion will also start in a new atmosphere and with a new concept: electric motorcycles, electric scooters and bicycles with all accessories are now elements of Halls 7 and 8. The e-scooters can now measure themselves against the gas-powered scooters in Hall 7. Here, visitors will find Kumpan Electrics, Emco Electroroller, NITO, NIU, Vmoto, Citycoco, Walberg and the e-motorcycles by Energica and Zero. 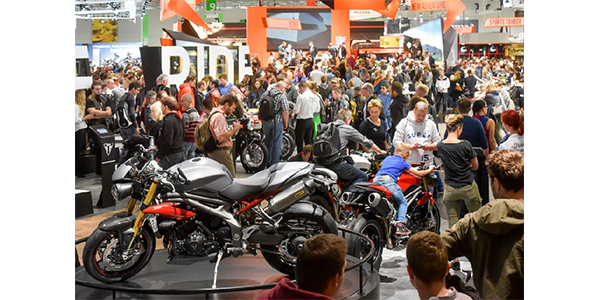 As an event-packed trade fair, INTERMOT in Cologne not only offers visitors presentations by manufacturers but also a whole host of impressive shows and the opportunity to actively experience the world of motorcycling. Whether novice, returner or experienced motorcycle or scooter rider – with the range of test tracks available, no one is left out. Attendees can take brand-new models for a test ride, try riding a motorcycle for the first time and test out scooters, dual-sport machines or motocross and trial bikes. Even kids can get their first experience on two wheels, too. The program also includes an exciting sprint racing on the 1/8- mile track, freestyle MX, safety demonstrations and opportunities to see the daring stunt and acrobatics shows performed by the professionals competing in the finale of the first European Stunt Championship. INTERMOT will feature panel discussions with designers and professionals, as well as interviews with stars from the scene hosted by Jörg Litzenburger live on “The Stage” in Hall 10.1. And also in Hall 10.1, the special exhibition area “Sport” will host presentations including the latest sport bikes from the Tuner GP. Bike Promotion, race teams and other sport event organizers will show race vehicles and special customizations for the racing circuits of the world. From a central position in the northern section of the Boulevard, “Boulevard of Touring” will present the world of motorcycle touring. Touring motorcycles parked in the themed areas invite visitors to sit on them and try them out. [email protected], a program specially tailored to female bikers and female motorcycling enthusiasts will meet in Hall 7, from where tours of the fair centered on bikes and clothing for women will take place. In addition, the program includes clubs, associations and interest groups as well as events and information to do with touring, safety, technology and sport, geared specially for women. The freestyle MX show, “Night of the Jumps” will take place on Saturday, Oct. 6. The Freestyle Motocross World Championship event has a long tradition of appearing with the scene’s international stars alongside INTERMOT in Cologne’s LANXESS arena. INTERMOT Cologne will be open to the general public each day from Oct. 3-7, from 9 a.m. to 6 p.m.